In 1994, a young boy called Nicholas Barclay disappeared without a trace from San Antonio, Texas. Nothing was heard about him for almost four years. Then, in October 1997, Nicholas’ family received a telephone call saying that Nicholas had been found in a care home in a small village in Spain. Overjoyed, his sister flies to Spain to see be reunited with her lost brother. Meanwhile, the US State Department, the US Embassy and the FBI all become involved in the case, desperate to find out what really happened to Nicholas. This is another documentary (much like Searching For Sugar Man) where the less you know about the story the better your movie experience will be. I didn’t know anything about the case and, as I started to watch the film, I wondered if its title was the biggest spoiler ever. However, the documentary wastes no time in explaining that the boy in Spain is not Nicholas. He is, in fact, a 23 year old Algerian man and he is one of the central narrators of the documentary. He explains that, having been neglected as a child, he just wanted somewhere to stay. Initially, his intricate web of lies are created to allow him to stay in the care home. They then spin out of his control. When the man, whose true identity we do not know until the end, is informed that his sister is on her way to see him, he is convinced that the game is up. He, after all, looks nothing like Nicholas - he has dark hair and brown eyes where Nicholas was a blond haired, blue eyed boy. In addition, the imposter has a thick French accent. What happens next is so unbelievable that, had it been a work of fiction, you would dismiss it as being too far fetched. However, this is a true story and director, Bart Layton, puts you right in the middle of it as he interviews all of the key players involved. I started watching The Imposter feeling devastated for Nicholas’ family and horrified at what they are put through. I then went through a stage of utter disbelief and bewilderment and, as the man explains how he was just a boy looking for a family and a fresh start, I started to feel some sympathy for him. I then realised with horror that he is the most unreliable of witnesses and that I was in danger of also being duped by him. Well, this made me feel so uncomfortable and on edge. As the film progresses, the waters get muddier. There was a point (when private detective, Charlie Parker, gets involved) when my blood went cold as I realised that yet another twist may well be coming. The Imposter is a brilliant documentary and one I thoroughly enjoyed. It looks amazing, is wonderfully intense and has a superb narrative thread. The film uses a combination of interviews and reenactments to tell its tale. I don't often enjoy reenactments - I find them slightly awkward to watch - but these are really well done. Otherwise, the filmmakers decide not get in the way of the story. They just allow the key players to explain their parts and then they leave it up to us to decide who is telling the truth. Have you seen The Imposter? What did you think? 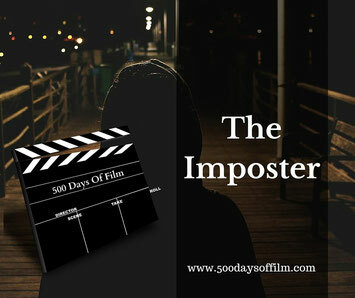 Did you wish that the imposter had been challenged more by the filmmaker? I’d love to know your thoughts - you can leave them in the box below if you like!